A week or so ago, I saw this Pin of the prettiest mani I ever did see! You may have noticed, but I love my nail varnish. Redoing my nails is my favourite bit of pampering and I always love finding new tricks for pretty look. This is oh so simple to do, and makes a change from the usual glitter mani that I have loved so much this summer. This one even got a comment of approval from the young man! Anyway, here’s how you can have a go too. It really is a case of 1, 2, 3! 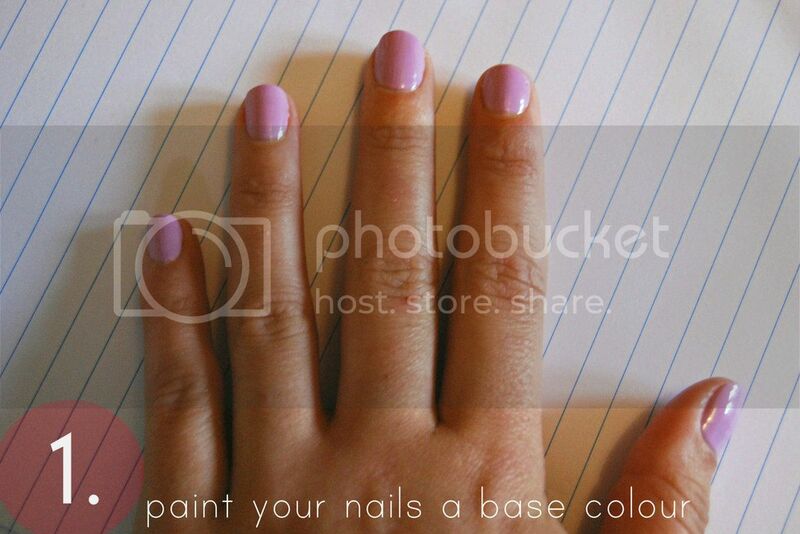 Paint your nails in a base colour of your choice and let it dry. I did each nail one by one to make sure that the topcoat didn’t dry too quickly before getting to the last nail. Just put a thin layer of topcoat on the nail, then dab a load of the loose pigment on your cuticle, before blowing it down onto the nail! 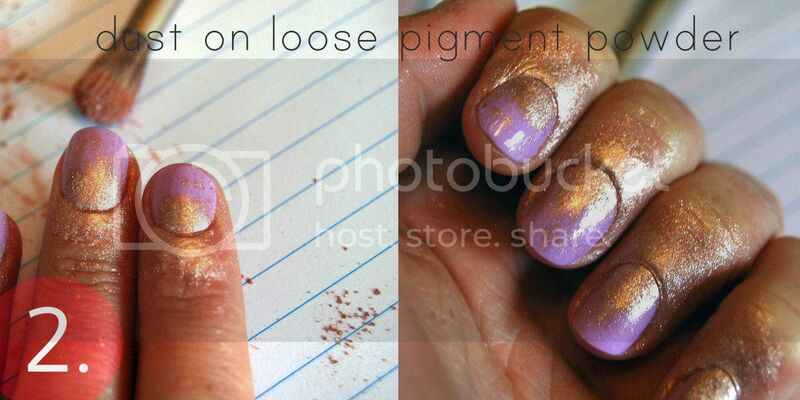 You could also just brush the pigment lightly over the nail too if you have an old brush you can use. 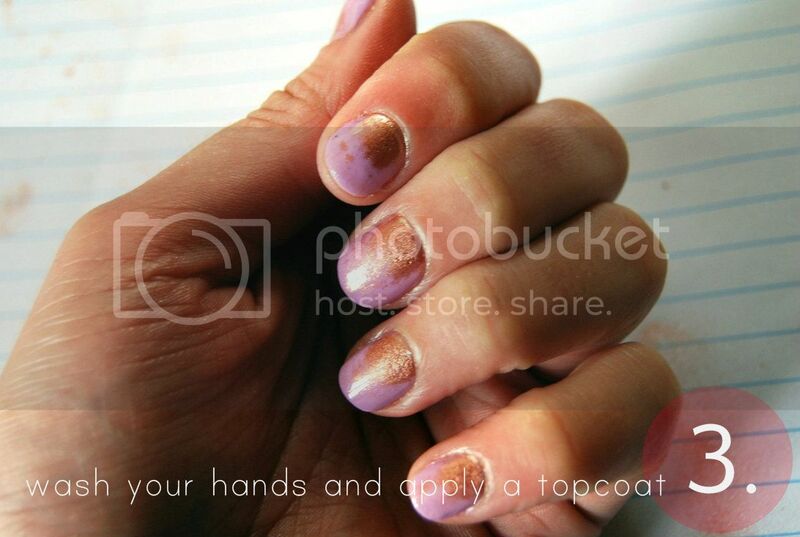 Let your topcoat with the pigment powder dry, and then just wash your hands to get the spare pigment off! Add a final topcoat for extra glossiness, and you are good to go! Easy peasy. What do you think? Going to have a go sometime soon? Just looking at the Barry M colour list, I could see this looking amazing with a bright colour pigment and a neutral varnish. Might just have to head to superdrug for a few more colours! Next Post Going on a summer holiday!